Ever sat staring at Facebook Ads Manager wondering if your adverts are actually working? Or pulling your hair out in frustration, as you know everyone else is getting hundreds of new email sign ups but you seem to be spending a fortune getting no-where? This tip is a kind of secret passport to getting your Facebook ads working well. I’m not going to pretend it’s a quickie, because if you’ve spent even a few hours running Facebook ads you’ll know there is a lot to them. 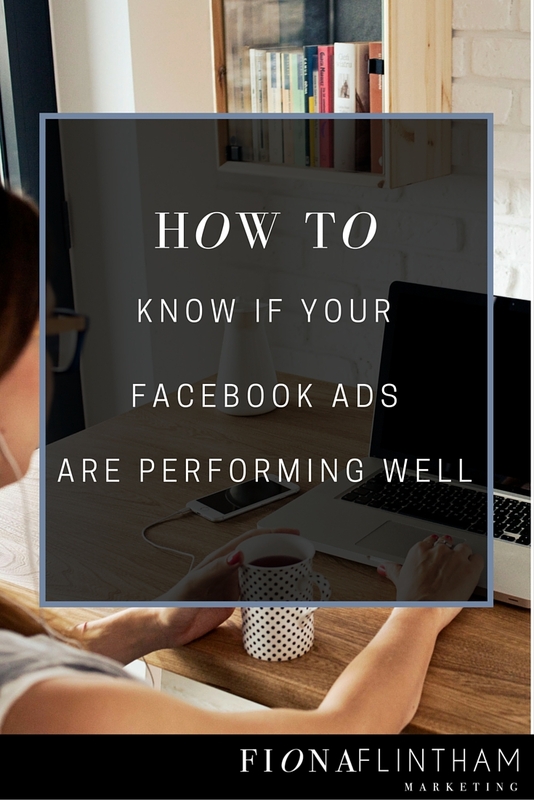 I’m going to show you how to read and understand those pesky numbers in your Facebook Ads Manager account so that you can optimise your ads right off the bat so that they start skyrocketing your conversions. This tip covers the very first report you should look at when you’ve just started running your ads – in the first 24 hours when they go live. This ONE report will tell you reliably which ads are performing well – and even more importantly which ones are worth ditching. This system works if you are following a well structured approach to your ads which I show you how to do here. These numbers are vital to look at because even if you are running your campaign for website conversions (such as email sign ups), the CTR will tell you what proportion of people converted against the number of people who actually saw your advert (the ‘reach’). Lets say version A of your ad had 9 conversions. And version B of your ad (which went live at the same time) had 8 conversions. When you look at the default report in Ads manager you might assume that version B is the poorer performer right? Now which is the best performer? And I haven’t even mentioned cost per conversion yet! Because when you are just starting out it’s more important to find an audience that responds best to your adverts first – and then worry about differences in cost per conversion (that comes a bit later in step 2). If you’re still feeling a little overwhelmed and want someone to hold your hand then check out my Facebook Ads Mastery programme where in just 30 days you’ll have a complete Facebook advertising campaign up and running, tested, optimised, and delivering relevant visitors to your website (and addresses to your email list). What’s more, I’ll do it all for you while teaching you how to do it yourself in future! Book your free 20 minute Skype session now.